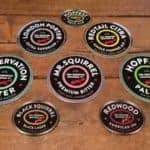 The ‘craft’ brewing movement has seen incredible growth driven by innovation, quality and daring. 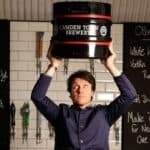 Camden Town Brewery has been at the forefront of this revolution. The success and reputation we have built has been nothing short of incredible. That has been thanks to all of you and the great beers we’ve brewed. To stay at the forefront of this movement and secure our future success, we have to build a bigger brewery, employ more people and gain access to an international distribution network. We can’t do this on our own. That’s why I’m proud to say I’ve signed a deal with AB InBev. This partnership is going to help us deliver our plans to grow. 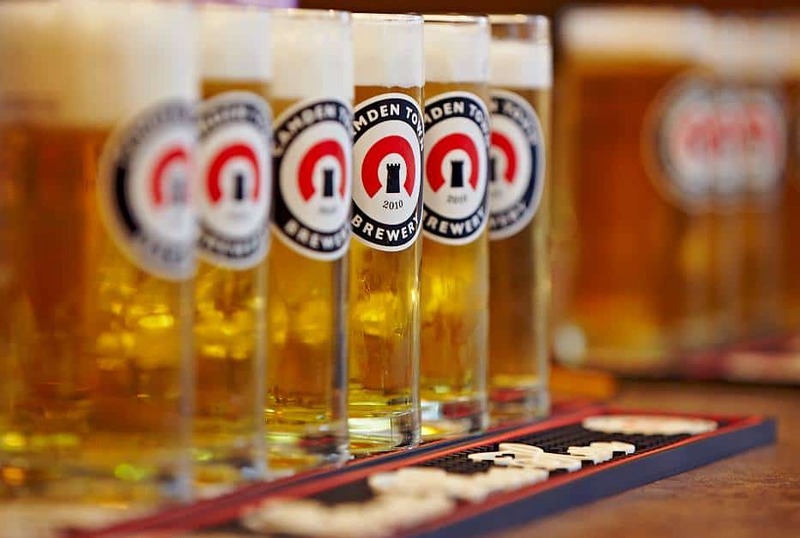 With AB InBev’s support we will expand our operations, create more jobs in London and continue to brew our great beer and get it to more drinkers. 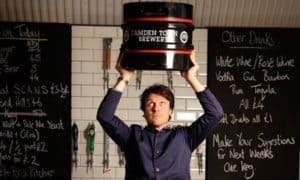 We are really excited about taking this opportunity to turn Camden, and the quality it stands for, from being an outstanding London brewer, to being a world famous one. We hope you are too. If you’re one of our shareholders, we’ll be in contact soon with more details about what the news means for you. We’ll also be updating the investor site shortly with answers to questions you may have. 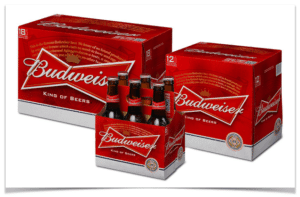 The deal with InBev is expected to close by January 7th. “Our growth has been phenomenal. To keep up with the demand for our distinctive beers we’ve had to look at expanding our brewing capacity and team. 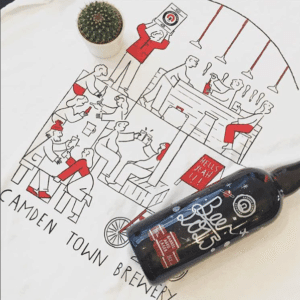 AB InBev is going to be our strategic partner, helping us maintain the character and quality of our beers, while giving us access to the investment we need to drive Camden to being ever more successful at home and abroad. Camden Town, launched in 2010, now employs 95 people having sold 12 million pints in 2015. 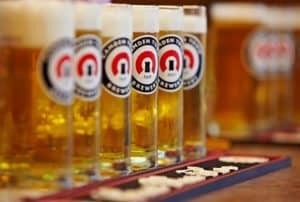 The beer is available in more than 1000 pubs and is distributed around the world. Camden plans on building a second brewery in London next year. Camden Town is one of a flurry of craft brewers that have utilized investment crowdfunding to raise growth capital. A perfect marriage of a dedicated consumer base which are given the opportunity to become owners and thus brand ambassadors. Probably the best-known brewery crowdfunding campaign is the ongoing Equity for Punks offer by BrewDog. 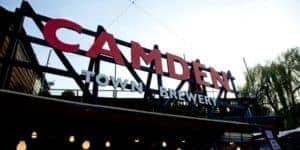 Camden Town stumbled a bit during it’s last funding round when Business Insider revealed the company was planning to offer equity at a lesser valuation than that of the crowd. Camden Town was compelled to reconsider the valuation given to the crowdfunding investors. 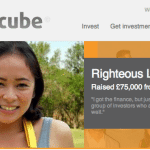 The offer on Crowdcube closed at over £2.7 million garnering the support of 2173 investors. As of now, there has not been any information regarding what type of premium early shareholders will receive. 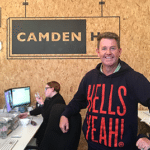 The Camden Town investment will join an elite group of the few equity crowdfunding offers that have provided investors with a measurable exit. 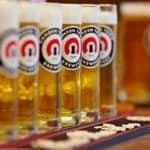 The big global brewers have been on a mission to purchase, or invest in, smaller craft breweries. 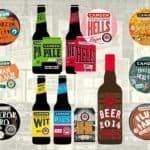 Artisinal brewers have filled a void in the beer market providing a high quality beverage that is undermining the corporate (and rather bland) brews. AB InBev, owners of Anheiser-Bush, is the largest brewer in the world. 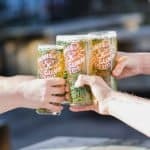 It is interesting that InBev has not made any attempt to make an announcement of the acquisition – especially since it is a publicly traded company. We think that’s enough tweeting for today – we’re off to celebrate! 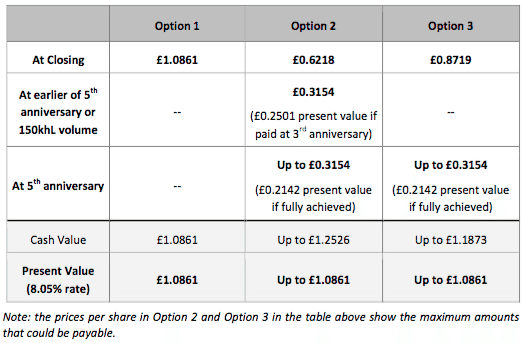 Update: The FT is reporting that shareholders have a choice – and it is a rather good one. 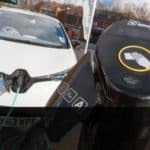 Early investors may receive £1.0861 per share today if they desire. This is the option management expects most shareholders to take. Options 2 and 3 are being offered to reflect the terms of the offer received from AB InBev and to provide as much choice and flexibility to shareholders. Shareholders may receive that same amount plus a potential upside if they are willing to hold for a bit. The final returns will be contingent upon management hitting some predefined financial objectives. It is better explained in the grid below. One investor is reporting a 68% return as he purchases 851 shares for £550 earlier this year. Not too bad and a good validation of the equity crowdfunding opportunity. 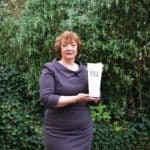 This entry was posted in Featured Headlines, General News, Global, Offerings and tagged camden town, crowdcube, exit, inbev, jasper cuppaidge, uk, united kingdom. Bookmark the permalink.